Hal Rubenstein, formerly edit0r-at-large at InStyle, has been named special projects editor at Architectural Digest. Cynthia Frank, formerly contributing editor-at-large at Elle Décor, has been named contributing design editor at Architectural Digest. Rory Evans, formerly editor at Martha Stewart Living, has been named executive editor at Food Network Magazine. Raul Martinez, currently design director at Vogue, has also been named corporate creative director at Condé Nast. Andrea Stanley, formerly lifestyle editor at Fit Pregnancy and Natural Health, has been named senior editor at Seventeen. Erin Weinger, formerly style editor at THR.com, has been named digital style director at The Hollywood Reporter and Pret-A-Reporter. Nikole Hannah-Jones, formerly investigative reporter at ProPublica, has been named staff writer at The New York Times Magazine. John Niedermeyer, formerly deputy editor of digital news at The New York Times, has been named product design manager at Buzzfeed. Anne-Marie Guarnieri, formerly editor-in-chief at xoVain, has been named deputy editor of fashion, beauty, and shopping at Refinery29. Connie Wang, formerly style director at Refinery29, has been named fashion features director at the publication. Paula Goldstein Di Principe, formerly site director at Purple Fashion, has been named fashion director at Refinery29. Sara Nathan, formerly U.S. show business editor-at-large at MailOnline, has been named digital news director at People. Joanna Saltz, formerly executive editor at Food Network Magazine, has been named site director at Delish. Christopher Rosen, formerly managing entertainment editor at The Huffington Post, has been named senior news director at Entertainment Weekly. Tracy Hadel, formerly advertising sales director at Every Day With Rachael Ray, has been named associate publisher at Better Homes and Gardens. Daren Mazzucca, formerly publisher at Better Homes and Gardens, has been named VP and publisher at Martha Stewart Living. Courtney Sands, formerly integrated sales account manager at Entertainment Weekly, has been named account manager at Marie Claire. Kim Martin, formerly president and general manager at WE tv, has been named chief strategy officer at Meredith Corporation. Michela Ratti, formerly director of communications at P&G Prestige, has been named director of communications at Salvatore Ferragamo. Marigay McKee, formerly president at Saks Fifth Avenue, has left the company. 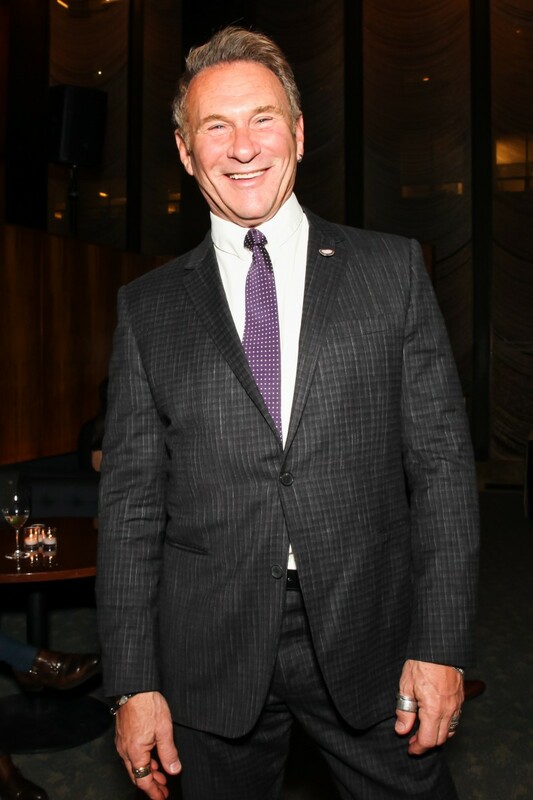 Marc Metrick, formerly EVP and chief administrative officer at Hudson’s Bay Company, has been named president at Saks Fifth Avenue. Yves Egeileh, formerly VP of mergers and acquisitions for Europe, the Middle East, and the U.S. at J.P. Morgan, has been named M&A director at Kering. Francois Kress, formerly global president at Stuart Weitzman, has been named CEO at Carolina Herrera. Christopher Peterson, formerly SVP and CFO at Ralph Lauren, has been named president of global brands at the company. Mitchell Kosh, formerly EVP of HR at Ralph Lauren, has been named EVP and chief administrative officer at the company. Robert Madore, formerly SVP of corporate finance at Ralph Lauren, has been named SVP and CFO at the company. Brenton Kearley, formerly SVP of sales at Clarins, has been named senior VP of sales at the company. Johan Adamsson, formerly head of sports marketing of team sports at Puma, has been named director of sports marketing and licensing. Christian Voigt, formerly director of sports marketing and sports licensing at Puma, has left the company. Nicole Franco, formerly PR at Helmut Lang, has been named senior coordinator at Salvatore Ferragamo. Lauren Camp, director of PR at ID Public Relations, has been named co-founder at The Brand House. Priscila Martinez, formerly senior account executive at ID Public Relations, has been named co-founder at The Brand House. Jessica Saraniero, formerly senior account executive at PMK*BNC, has been named PR manager for W Hotels of New York. Ana Herrero, formerly account executive at Le Brain, has left the company. Kristen Ott, formerly PR at Chantecaille, has been named PR manager at Guinness World Records. Kat Cooper, formerly junior account executive at Factory PR, has been named account executive at Michele Marie PR. Heather Stein, formerly editorial director at Michele Marie PR, has been named senior account executive at SUCCARRA Showroom. Isabela Farinella, formerly assistant account executive at Tractenberg & Company, has been named account coordinator at THINK PR. PR Consulting announces its representation of Creatures of Comfort. Krupp Group announces its representation of Maje, Aquatalia, Isa Tapia, and Mercado Global. Agentry PR announces its representation of Bavna. SHADOW PR announces its representation of J. Jill. THINK PR announces its representation of twenty2. Bollare Communication announces its representation of Fiorentini and Baker, Nour Hammour, and Well Kept. Indulgence PR announces its representation of TopFan. Maguire Steele announces its representation of Billy Reid. Magrino announces its representation of Chateau d’Esclans and Le District. Michele Marie PR announces its representation of Le Club. Marisposa Communications announces its representation of Massaccessi. Wunderlich Inc PR announces its representation of Bedgear. Keri Levitt Communications announces its representation of Autumn Cashmere. KH PR announces its representation of Brass Thread by Lilah Gabriel. Jessica Aufiero Communications announces its representation of PUNCH Fitness Center and A Voce. The Lead PR announces its representation of To Boot New York.